The name Splendor has been around for a long time. What started off as a CD100 with some plastic bits added on has now spawned a whole bunch of motorcycles that cater to every sub-segment in the ever-so-confusing commuter segment. I've lost count of the number and types of Splendors that have come and gone. However, I do know that right now there are six Splendors being sold and out of them all, this new Splendor iSmart 110 is the most special. How? It is the first motorcycle that Hero has created from scratch. No borrowed technology from the Japanese, no chassis design from Italy. This one is all Indian and has come from Hero's new Centre for Innovation and Technology outside Jaipur in Rajasthan. And being such, there are a lot of eyes on how this new motorcycle will do. The commuter segment is a hard playground to create something that stands out design wise. Almost all of them use similar design cues and come in almost the same colours. 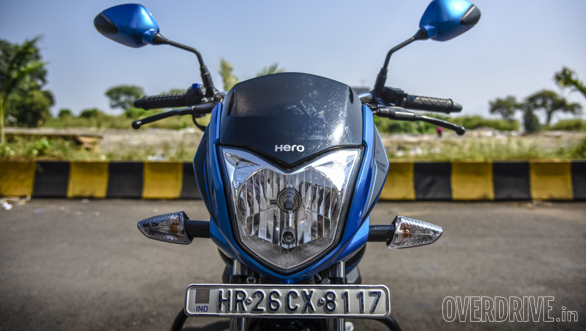 The Hero Splendor iSmart 110 too follows the same design cues and colour palette, but has enough differentiators to make it stand out just a bit. The headlight, for example, has a sort of tulip shape to it that makes it unique. The colour scheme too uses the twin colours and minimal stickers to create a very different look compared to what the other in the segment are doing. 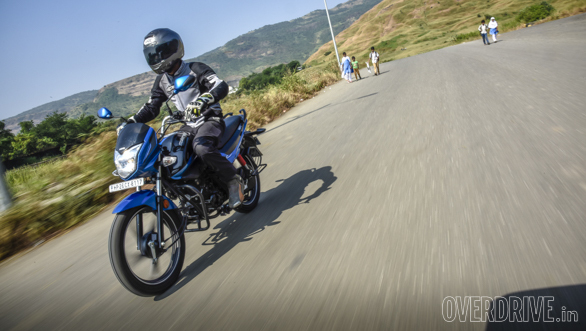 Overall, the Hero Splendor iSmart 110 is a smart looking motorcycle. The build quality is great and all the bits are well finished. That said the paint lacks the shine that we've seen on the TVS Victor and the seat foam could have been a tad firmer. The riding position is typically commuter but isn't as roomy as some of the others in the segment. The iSmart does get some interesting features though. First, of course, is the i3S system. Then there is the Automatic Headlamp On that keeps the headlight switched on all the time. 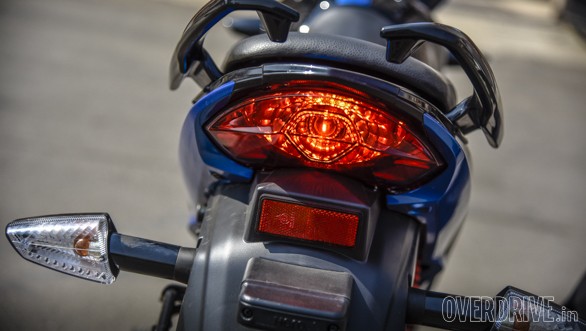 There is also a handy side stand indicator  something that is fast becoming a standard fitment on almost all new Heros. 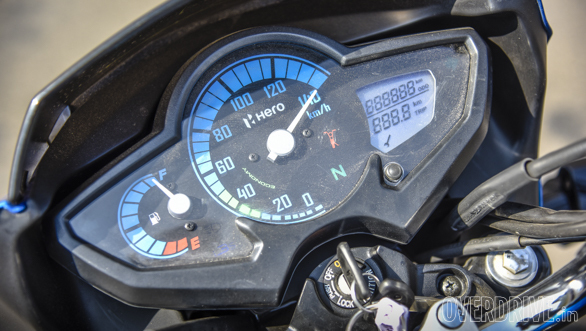 The instrumentation uses an analog speedo and fuel gauge with a digital trip and odo. Face it. You aren't looking for corner carving ability in this segment. What you are looking at is the ability to get from point A to point B within an urban setting with minimal effort and occasional highway duties as well. So, it makes no sense to equip a commuter motorcycle with track-spec suspension and super sticky tyres. Hero knows this and has specced the iSmart 110 with suspension and tyres that they feel are most suited for this purpose. That said, it isn't a bad handler. It turns-in rather quickly and is a breeze to change direction. However, the setup that the Hero Splendor iSmart 110 comes with is a bit too soft. It soaks up bumps and uneven tarmac quite well, but when the speeds go up and the potholes get bigger, the motorcycle struggles. The suspension tends to bottom out and that is just with my weight. Two-up this gets worse. But slow down your pace a bit and everything falls into place. 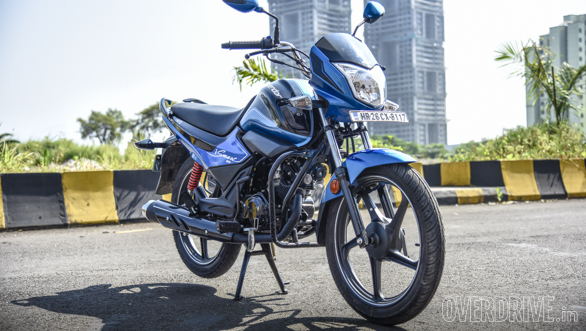 The Hero Splendor iSmart 110 comes into its own in crowded, city conditions. The clutch is light and the suspension really works over Mumbai's paver block roads. The Ceat Secura Zooms too have adequate grip and manages to hold its own over some gravel and other urban rubbish. But what lets the motorcycle down are the brakes. The 130mm and 110mm drums at the front and rear aren't the greatest brakes in the business. 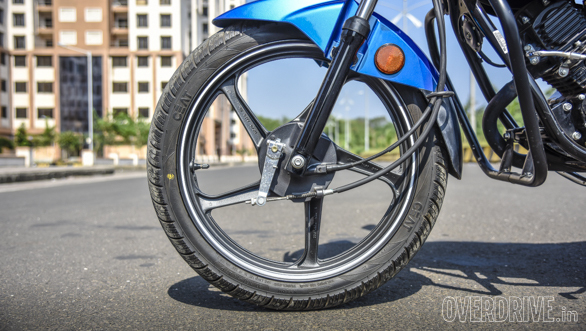 Personally, I feel the era of drum brakes are done and in the interest of safety, all motorcycles should at least get front disc brakes, if not front and rear disc brakes with ABS. The iSmart's brakes can bring the bike to a stop from 60kmph in 2.8 seconds over 22.4 metres. Not all that great. In fact, this is my biggest issue with the motorcycle. Come on, Hero. At least give disc brakes as an option. 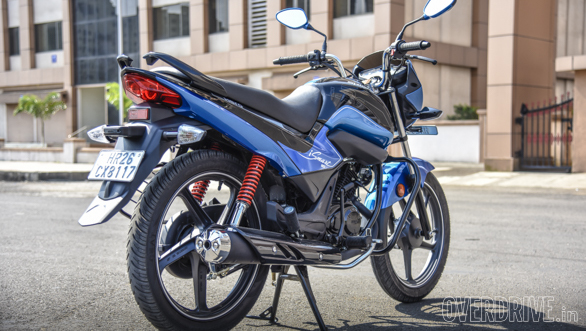 The Hero Splendor iSmart 110 uses a 109.15cc single cylinder motor that makes 9.5PS and 9Nm of torque. Not earth shattering numbers, but as Shumi noted during his first ride, the magic lies in the way the motor delivers power. The torque spread is wide and the motorcycle allows you to sit in high gears at low speeds without batting an eyelid. In fact, I could manage to pull away from as low as 20kmph in fourth gear without much drama. And this lack of drama follows you around throughout the rev range. The engine stays refined across gears and revs. There is not buzz or vibrations that come through to irritate you unless you're setting high speed records. But if you were, you'd notice the iSmart 110 tops out just shy of 90kmph and can hit 60kmph in 6.9 seconds. But then that was never the focus of the iSmart. It was always designed for usability and efficiency more than anything else. The wide torque spread and refinement takes care of usability and the 62.2kmpl fuel efficiency takes care of the rest. This is with the i3S running. The system cuts off the engine if it remains at idle in neutral for over five seconds. And the moment you pull the clutch in, the engine starts up again. Yes, it's a start-stop system. But the system isn't all that beneficial as we realised when we tested the first Splendor iSmart. We've noticed that a start stop system works well only when there is smooth flowing traffic between traffic lights. So, in theory, you start from a traffic light and keep moving till you come to the next traffic light. But in almost all Indian conditions, you end up starting from a traffic light and getting stuck in stop-and-go traffic till you come to the next traffic light. Now if the gearbox was an automatic, the need to put the motorcycle into neutral wouldn't exist and switching off and on could be just a function of the motorcycle being at standstill. But in the iSmart, switching to neutral in stop-and-go traffic isn't possible. So, the benefits that could have otherwise been significant turn out to be minimal. In effect, the Splendor is only able to be as efficient as the others in the segment. 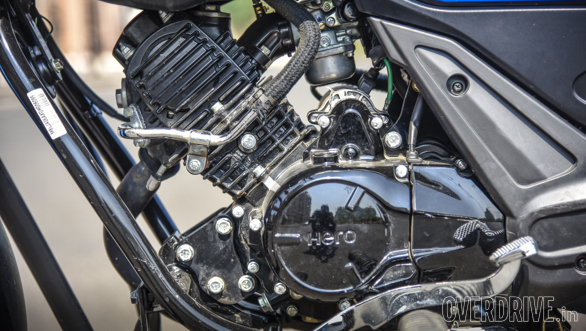 The Hero Splendor iSmart 110 is a great little motorcycle. And at Rs 66,056 (on road, Mumbai) it is priced in the same ballpark as the others in the segment such as the Honda Livo. But the question that is in most people's minds is whether one should buy the iSmart for the efficiency benefits that the i3S offers. The answer is no. What you should be buying it for is good looks, comfortable ride, torquey engine and the refinement. Essentially, you should buy the iSmart for being a viable 110cc option that does everything that is expected of it. But what about the competition? That's a question for another day.